Acclaimed conductor Leonard Bernstein said, “This shall be our reply to violence: to make music more intensely, more beautifully, more devotedly than ever before.” In the city of Ogden Utah, a notion was born of an ensemble that exists for that reply. An ensemble for the express purpose of bringing people together in the face of all adversity and tragedy, and help those in need, the NEXT Ensemble. This season, our partner is Youth Impact, of Ogden. Youth Impact's purpose is to respect, protect, serve and instill hope in the children of Ogden and through them, our community. Youth Impact's mission is to give each and every child who comes through their doors a safe place to learn, socialize and realize who they are and who they can become. 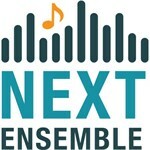 NEXT Ensemble also changes the way you will think about "classical" concerts, with performances in unexpected places, in unique ways where everyone is welcome, and are free to clap whenever you wish! Our series at the club, Alleged on Historic 25th street in Ogden is only the beginning of this story....join us there to participate in the transformation of the concert experience! NEXT Ensemble engages,enlightens,inspires, and gives to Northern Utah through the transformative power of the shared musical experience. NEXT Ensemble is a 501(c)3 non-profit corporation.